Uniform Advantage (UA) is ready to close June with a bang and we decided to do things a little differently! Who wants to win a prize that looks like a scrub top but tastes like a cookie? Get ready for this sweet surprise from your one and only Scrubs Company! For over 30 years and with over 80 locations nationwide, Cookies by Design has been helping their customers send gourmet cookie gifts that say they care. They are a female run company and part of the Certified Women’s Business Enterprise. Their range of services include creatively designed edible custom cookie arrangements, gift baskets, cookie cakes, gourmet cookies and cookie trays, filled with delicious hand decorated goodness! Their cookie bouquets can also be customized for any occasion and personalized with a name or a special message. Their Corporate Gifting Department caters to every customer’s cookie needs and designs unique gifts for their client’s Marketing efforts, Tradeshows/Conferences, HR efforts through Recruiting/Training/New Hires/Employee Appreciations, Identity/Brand Launches, Thank you, Celebrations and more. They can be reached at cookiesbydesign.com or contacted at 855-Cookies to speak with a cookie specialist. 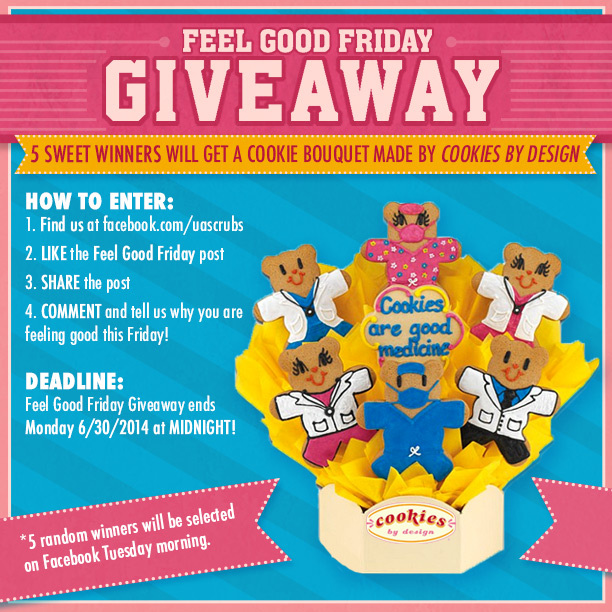 Enter today and Win this freshly baked 7-cookie bouquet right to your doorstep! 5 lucky winners will get this lip-smacking treat for free. 3. COMMENT on the Facebook post by answering this question: What is making you feel good this Friday? Once all Facebook comments are in and confirmed that you shared our contest post, we will randomly choose 5 winners (using woobox.com), who will then receive this COMPLIMENTARY Cookie Bouquet from us! The contest ends Monday 30th June, 2014 at midnight and we will announce the winners Tuesday 1st July, 2014 after 10 am EST on Facebook and our Blog. 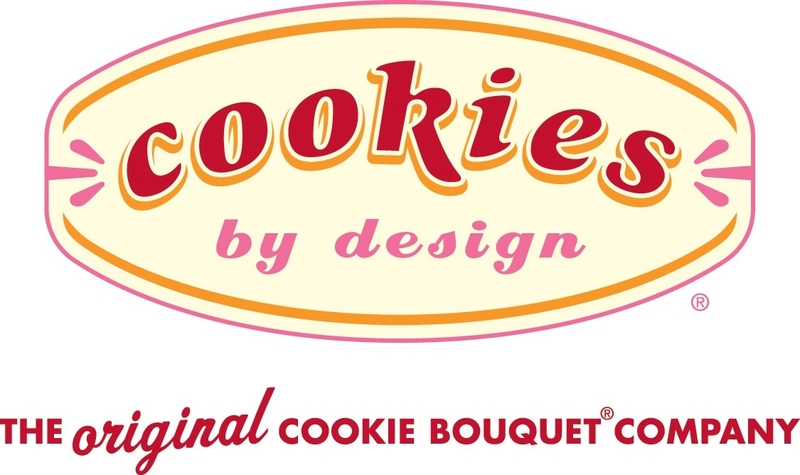 Thank you for your participation and to Cookies by Design, thank you for sponsoring these amazing cookie bouquets for our winners and partnering with us! ← 120 Summer Days to Take Advantage of!